Justin Greis is a Partner/Principal in the Advisory practice of EY. He leads the Cyber Resilience Practice within EY’s Cybersecurity Consulting group. Justin has more than eighteen years of cross-industry management consulting and executive leadership experience in information technology with specializations in: IT strategy, digital and emerging technologies, architecture, cybersecurity, IT GRC, program management, systems development and implementation, cloud, analytics, and technology transformation. As the leader of the Cyber Resilience practice, Justin helps global companies prevent, prepare for, respond to, and recover from large-scale cybersecurity disasters and destructive attacks. Prior to this role, Justin built and led EY’s Digital Enterprise practice which focused on designing and activating digital technologies and experiences for large, global companies. 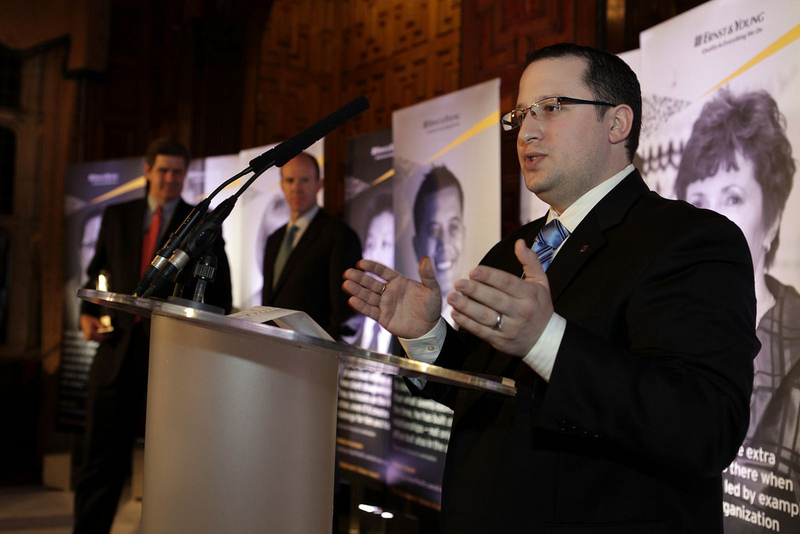 In 2010, Justin won EY’s Chairman’s Values Award, the firm’s highest honor, for his outstanding commitment to the firm’s values and its people. Prior to EY, Justin worked as a senior consultant for Protiviti in Paris and also led the technology organization development of the Eppley Institute for Parks and Public Lands, a non-profit consulting organization. Justin was also the founder of an IT consulting company, BrainOrbit, which specialized in implementing web-based solutions. Justin served as CEO for four years before joining EY. Justin currently also serves as professor of Information Systems at Indiana University’s Kelley School of Business, where he teaches IT Governance, Risk and Controls in the Master of Science in Information Systems (MSIS) program and IT Risk Management in the Kelley School of Business (“Kelley Direct”) Online MBA Program. In 2009, Justin, alongside Dr. Ramesh Venkataraman, won 1st place at the Workshop on Information Technologies and Systems Conference for “Best Innovation in Teaching” for their cutting-edge teaching methods in the MSIS program. Justin holds a Bachelor of Science (BS) and an Master of Business Administration (MBA) in Accounting and Information Systems from Indiana University, Bloomington. Justin and his wife, Katharine, founded the EY, James Buckman Memorial Scholarship in memory of Katharine’s father. Justin holds the following certifications: CISSP, CISA, CISM, CGEIT, GIAC/GSEC, PMP, CIPP, ITIL, CRISC, and TOGAF. Justin serves on the Board of Trustees at Merit School of Music in Chicago and is the percussionist and vocalist in EY’s American PI Band (Winner of the Fortune Magazine, Rock and Roll Hall of Fame Corporate Battle of the Bands). When not serving his clients, Justin enjoys playing drums, harmonica, photography and rock collecting. Justin can also be reached through his blog, Progressology, where he writes about a variety of issues focused on the central theme of progress. Below is a listing of publications, whitepapers, and articles to which I have contributed to or written. I am always happy to contribute to industry publications or thought leadership. Simply contact me and I will be in touch shortly. I look forward to hearing from you.